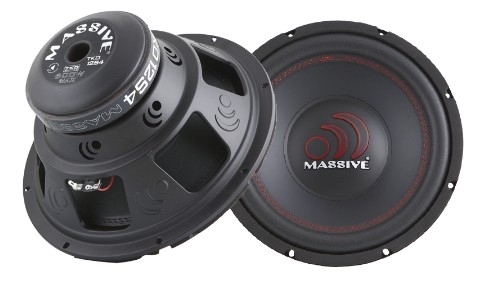 Massive Audio - TKO12S4 | TKO12S4 | Subwoofer | Toms-Car-Hifi - Kaufen was Freu(n)de macht! “Big Bass at a Price that Knocks Out the Competition” It’s all about the balance between economics & performance with the “TKO” subwoofer series subwoofer from Massive Audio. TKO rolls in at 600W Max. It is CEA 2031 compliant and have the red Massive logo centered on the PP Vacuum Dust Cap. When “Bass on a Budget” meets the Massive Audio TKO subwoofer the whole world will “Feel the Beat from the Street!